Continuous high temperature stability up to 325°F. Excellent corrosion and wear protection. Extended relubrication intervals because of its excellent resistance to water washout. 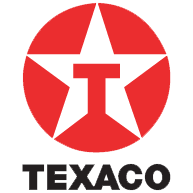 Texaco Starplex Premium provides an alternative for high temperature applications. The high viscosity base oils contained in this product serve to minimize friction between moving parts and boost lubrication performance over a wide temperature range. Texaco Starplex Premium is recommended for use in applications with temperatures up to 325°F. It is ideally suited for lubrication where water washout is an issue. Paper and Forest Products — This lubricant is superior for severe service applications such as: sludge press bearings, lime kilns, pumps, woodyard heavy equipment, Doctor oscillator bearings, felt roll bearings, pulp refiner bearings, rope sheaves, and exhaust fan bearings. Automatic lubricating systems in onboard shovels, trucks, and other mobile equipment.